These are sturdy and durable Teflon rolling pins. Available in Sizes - 2" x 10", 2.5" x 10" and 3" x 10"
Fine cutting is an important part of cake and dessert presentation. We offer you different varieties of cutting tools to help you achieve perfection in each of your creations. 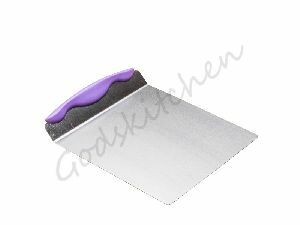 Our tools provide perfect cutting & trimming, thereby giving your cakes and desserts the desired finishing touches. 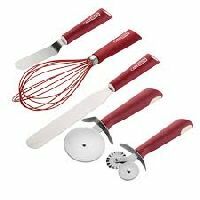 Bakery tools products in India, as it stands today, is one to two kg per annum, which is comparatively lower than advanced countries where consumption is between 10 to 50 kg per annum. The gap is fast closing, and of late, the Indian market growth rate of bakery products has been tremendous, in both urban and rural areas. This sector is poised to experience gigantic growth prospects.